News flash! It’s finally cold in Texas! I know to some of you this may not feel like a huge deal, but for those of you who live in the Lone Star State, you know what I mean. Sweater weather is a day-by-day thing down here, and a perfect winter day can quickly turn into shorts and a t-shirt weather. Womp womp. So, when the mercury drops, we celebrate immediately with soup. Or at least I do! 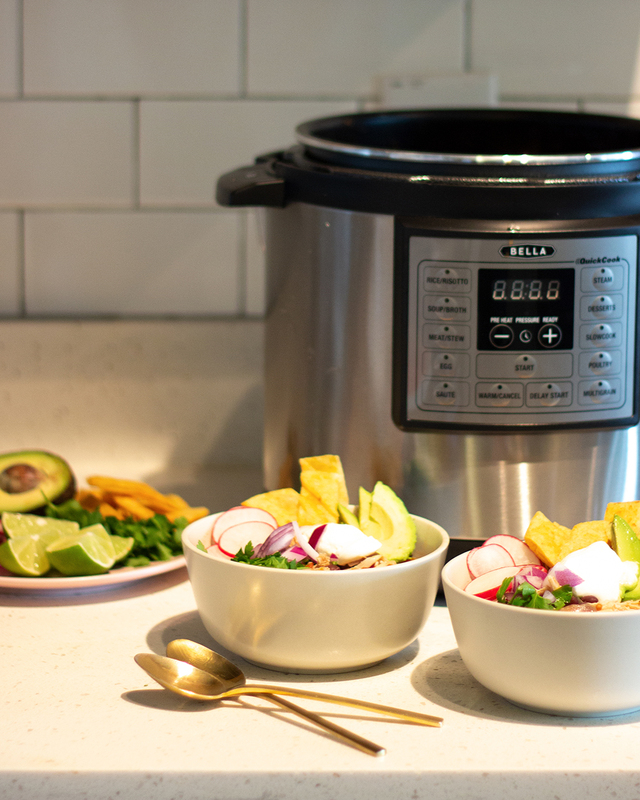 This Chicken Tortilla Soup is insanely simple because I made it in a Bella 6-in-1 Multi Cooker. Have you used one of these before? 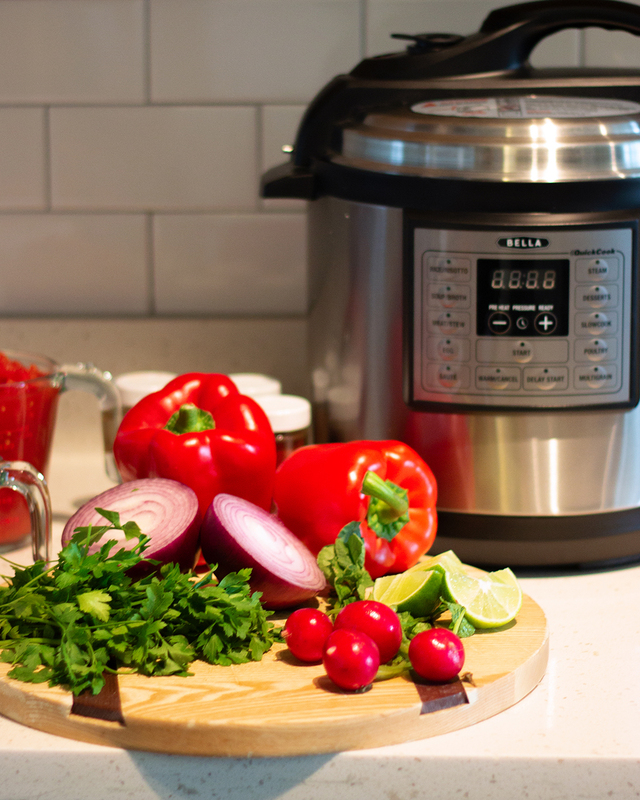 It’s kind of like a slow cooker, but SO. MUCH. BETTER. I use mine to make rice, hard boiled eggs, soups, risotto and so much more. 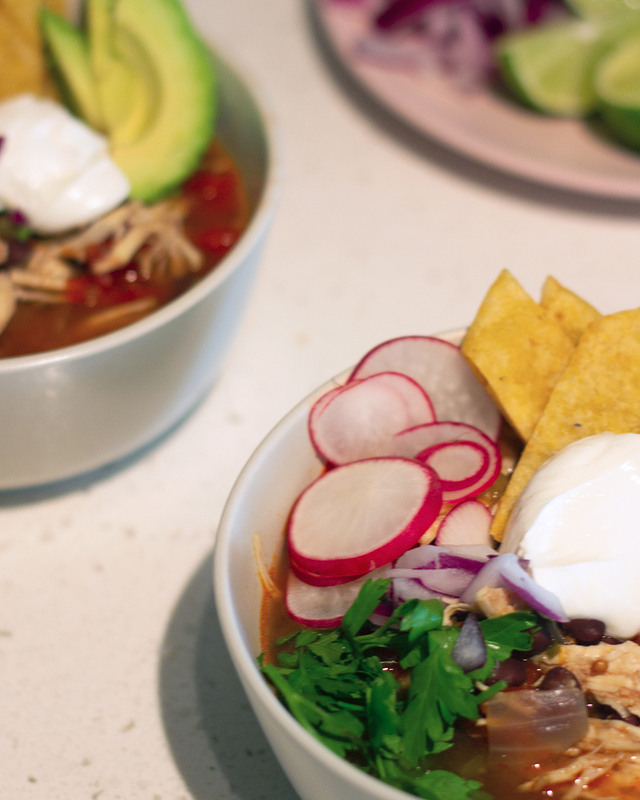 This Chicken Tortilla Soup is made almost entirely in the multi cooker. How great is that? 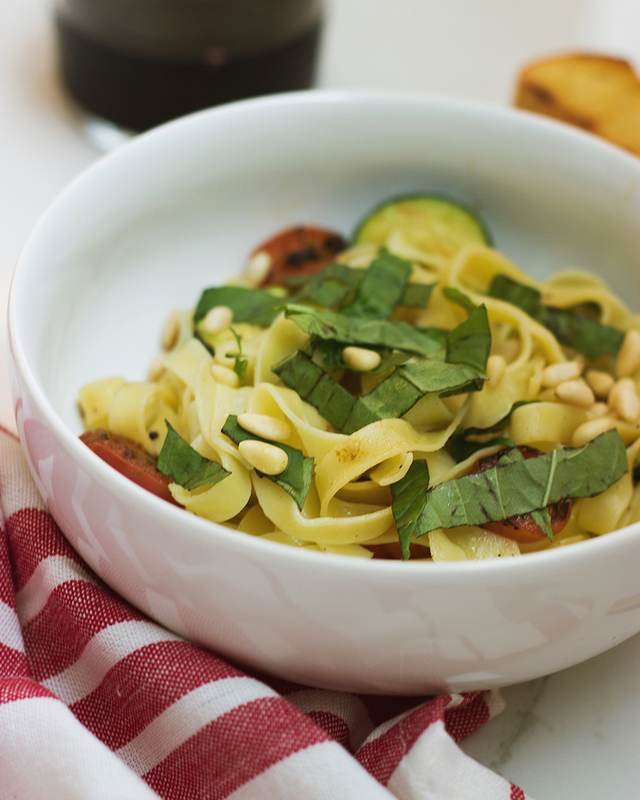 Any recipe that requires minimal pots and pans is a win in my book! Set multi cooker on saute function. Add olive oil. Once heated, add onion and saute until translucent. Add bell pepper and garlic. Saute 1-2 minutes more. Add cumin, paprika, cayenne and chili powder. Add chicken and sear. Once browned, flip and brown on other side. Turn saute function off and add tomatoes, chilies, broth and black beans. Set to soup function and pressure cook for 30 minutes. Once soup is cooked, manually release pressure. Remove chicken breasts and place in a large bowl. Use two forks to shred chicken and then place back in the soup. When serving, top with cilantro, sour cream, tortilla chips, avocado, lime and radish. Salt and pepper to taste. Serve with an ice-cold beer for optimal deliciousness. While soup is cooking, heat 4 tablespoons canola oil (or olive oil) until hot. 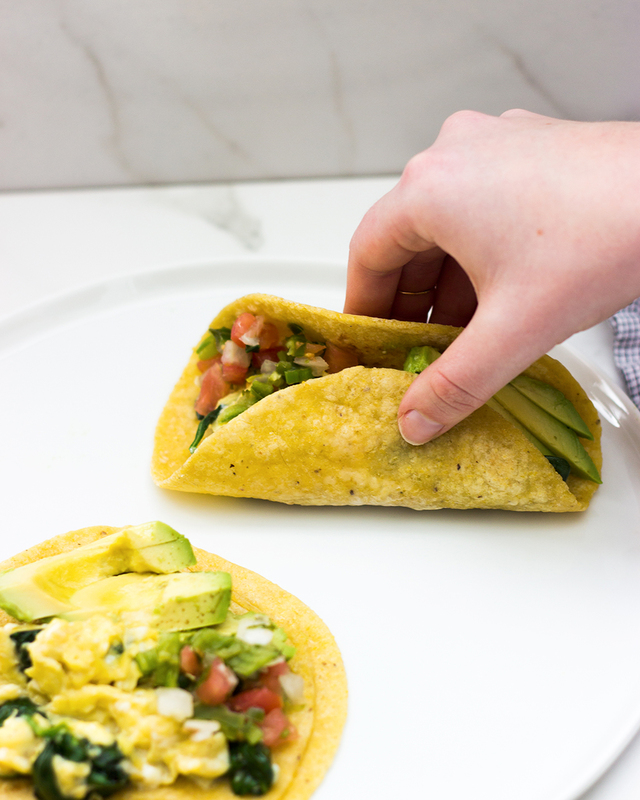 Add strips of corn tortilla and fry until golden brown. Drain on paper towel and set aside.